You've now added Museum of Old and New Art to your itinerary. Kick off your visit on the 5th (Wed): examine the collection at Museum of Old and New Art and then take your sightseeing to a higher altitude at Mount Wellington. To find traveler tips, reviews, and more tourist information, use the Hobart trip itinerary maker tool . February in Hobart sees daily highs of 26°C and lows of 14°C at night. Finish your sightseeing early on the 6th (Thu) so you can drive to Coles Bay. Start off your visit on the 6th (Thu): let the kids burn off some steam at Melshell Oysters and then kick back and relax at Spiky Beach Conservation Area. 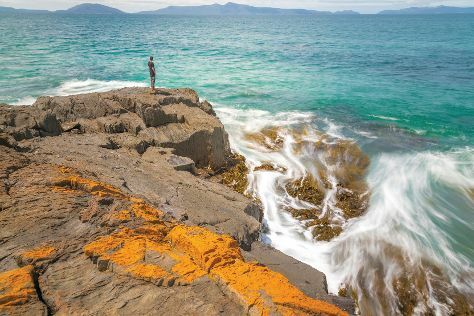 On the 7th (Fri), you'll have a packed day of sightseeing: enjoy the sand and surf at Raspins Beach, snap pictures at Spiky Bridge, do a tasting at Gala Estate Vineyard, then examine the collection at Tasmanian Wool Centre., and finally learn about winemaking at Spring Vale Wines. For ratings, other places to visit, maps, and more tourist information, you can read our Swansea travel planner. Traveling by car from Hobart to Swansea takes 2 hours. In February, daytime highs in Swansea are 26°C, while nighttime lows are 14°C. 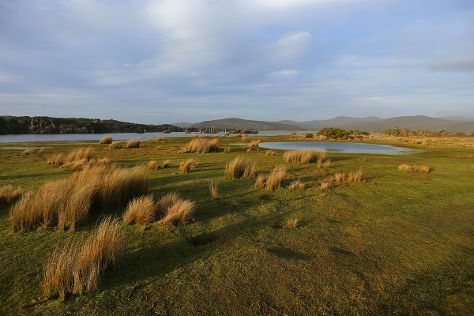 Wrap up your sightseeing on the 8th (Sat) to allow time to travel to Mount William National Park. Cranbrook, Raspins Beach, Tasmanian Wool Centre. 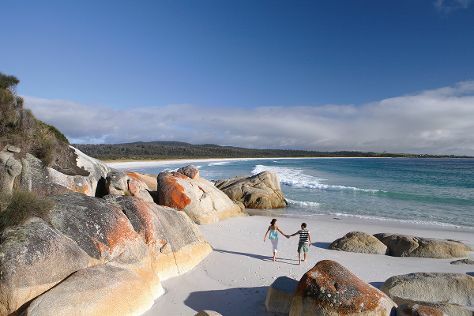 Bay of Fires Conservation Area has been added to your itinerary. On the 8th (Sat), kick back and relax at Bay of Fires Conservation Area. For reviews, other places to visit, ratings, and other tourist information, read our Mount William National Park trip itinerary maker website . Explore your travel options from Coles Bay to Mount William National Park with the Route module. Finish your sightseeing early on the 9th (Sun) so you can travel to Beauty Point. Beauty Point is a town by the Tamar River, in the north-east of Tasmania, Australia. Your day-by-day itinerary now includes Narawntapu National Park. On the 9th (Sun), explore the wealth of natural beauty at Narawntapu National Park. For maps, more things to do, other places to visit, and more tourist information, go to the Beauty Point trip itinerary maker . The Route module can help you plan travel from Mount William National Park to Beauty Point. In February, plan for daily highs up to 28°C, and evening lows to 13°C. Cap off your sightseeing on the 10th (Mon) early enough to go by car to Cradle Mountain-Lake St. Clair National Park. 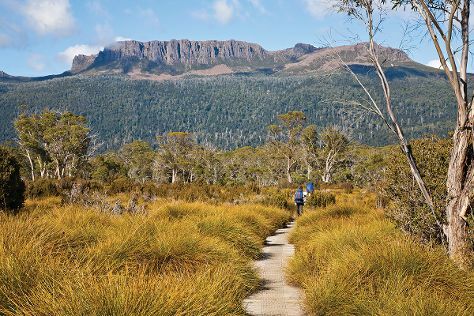 Your day-by-day itinerary now includes Shadow Lake Circuit Walk as well as The Overland Track. 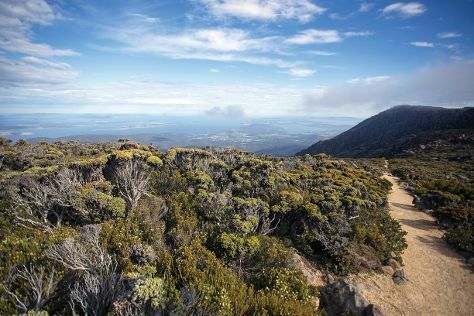 On the 10th (Mon), hike along The Overland Track. Get ready for a full day of sightseeing on the 11th (Tue): hike along Shadow Lake Circuit Walk. For reviews, where to stay, photos, and other tourist information, read our Cradle Mountain-Lake St. Clair National Park trip itinerary planning tool . Traveling by car from Beauty Point to Cradle Mountain-Lake St. Clair National Park takes 3.5 hours. On the 12th (Wed), wrap the sightseeing up by early afternoon so you can travel to Eaglehawk Neck. 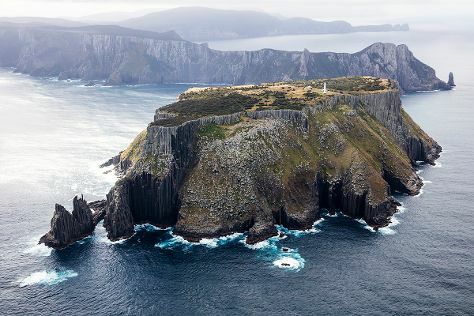 You've added Three Capes Track, Devil's Kitchen, Tasman Arch, and other attractions to your itinerary. Kick off your visit on the 12th (Wed): head outdoors with Tasman Blowhole, then get outside with Tasman Arch, and then head outdoors with Devil's Kitchen. On your second day here, trek along Three Capes Track. To find where to stay, maps, and tourist information, you can read our Eaglehawk Neck online sightseeing planner . The Route module can help you plan travel from Cradle Mountain-Lake St. Clair National Park to Eaglehawk Neck. In February, plan for daily highs up to 26°C, and evening lows to 14°C. Finish your sightseeing early on the 13th (Thu) so you can drive to Hobart. Your day-by-day itinerary now includes Salamanca Market as well as Royal Tasmanian Botanical Gardens. 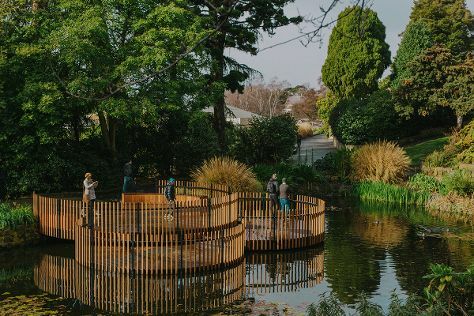 On the 14th (Fri), take in nature's colorful creations at Royal Tasmanian Botanical Gardens and then shop like a local with Salamanca Market. To find where to stay, more things to do, other places to visit, and more tourist information, go to the Hobart day trip planner. You can drive from Eaglehawk Neck to Hobart in 1.5 hours. Finish up your sightseeing early on the 14th (Fri) so you can travel back home.